FSU senior Paul Oakley, 21, always had a dog in his house growing up and always had a passion for law enforcement, thanks to his grandfather. 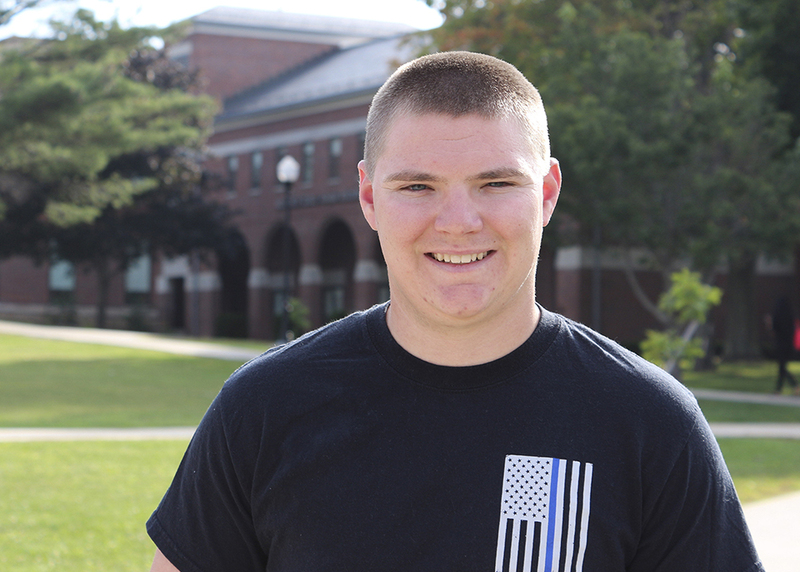 This summer he started putting those pieces together, interning with the Calvert County Sheriff’s Office K9 Unit. After his experience, Oakley plans to apply to the sheriff’s office in December to start his dream job. “It’s been something I always wanted to do, a career in law enforcement, and if I could, to have a dog on top of that,” Oakley said about working for his hometown patrol agency. Working with German Shepherds and Belgian Malinois, Oakley had to pick up some German to give commands. It’s a world away from playing with his beagle Harley at home. “While there are a bunch of commands, it was like learning English – you knew what the words are supposed to be,” he said. Oakley’s training for the 18-month-old dogs included obedience training, drug sniffing and retrieval. He also was able to go on ride-alongs to see how K9s are deployed in the field and received professional development advice from deputies. “You hear that every day is going to be different, and when you’re out there, every day is different, being in law enforcement,” Oakley said. FSU helped Oakley prepare for the internship with his Common Law course and his writing classes, to hone his communications skills when writing to law enforcement officers and the public. Oakley thanked Tim Magrath, executive director of the J. Glenn Beall Institute for Public Affairs at FSU, for helping him be prepared for the internship. “Without Tim Magrath, I couldn’t have done this internship and gotten the ball rolling,” Oakley said.